It is disappointing to see that the only agenda the Pakatan Rakyat parties and supporters have a care for is the immediate release of their leader, Datuk Seri Anwar Ibrahim, even to the point of willing to barter away our sovereignty. While the United States embassy was quick to issue out a statement to say they were “disappointed” by the verdict, it is a travesty for their supporters to sign a petition calling for a foreign nation to interfere in local affairs. How quick are Pakatan leaders to forget the lessons of history, of how the US has used its might and power to trigger international flashpoints across the world from the Iran-Contra issue, to the rise of the Taliban in Afghanistan, the toppling of Iraq over non-existent weapons of mass destruction, let alone its continued support for the state of Israel and against the recognition of the Palestine state. Even with the threat of us losing our ability to govern our nation and conduct trade by ourselves independently through the Trans-Pacific Partnership Agreement (TPPA), it seems that Pakatan and its supporters would prefer to barter these off simply for some words from the US government in support of Anwar’s release. By doing this, Pakatan and especially PKR has abandoned their call for reformation which was always one for Malaysians alone without foreign intervention and instead has shown their preference for foreigners to intervene in the rule of law in Malaysia. So I ask everyone, is one person really worth sacrificing the entire nation for? As at time of writing, some 27,000 Malaysians seem to think so. According to the petition, Anwar is a “political prisoner” and the American government must follow up with action. What kind of action are they proposing is left vague. With Pakatan promoting this petition to its supporters, allow me to ask this; what if the US puts forward trade sanctions on Malaysia? Think about it. According to Matrade statistics, the US is the third largest trade partner for our country last year amounting to RM8.01 billion. Or worse, what if the trade off is that we sign off on the TPPA which, if we were to believe the unproven words of the Ministry of International Trade and Industry, has benefits outweighing its costs? 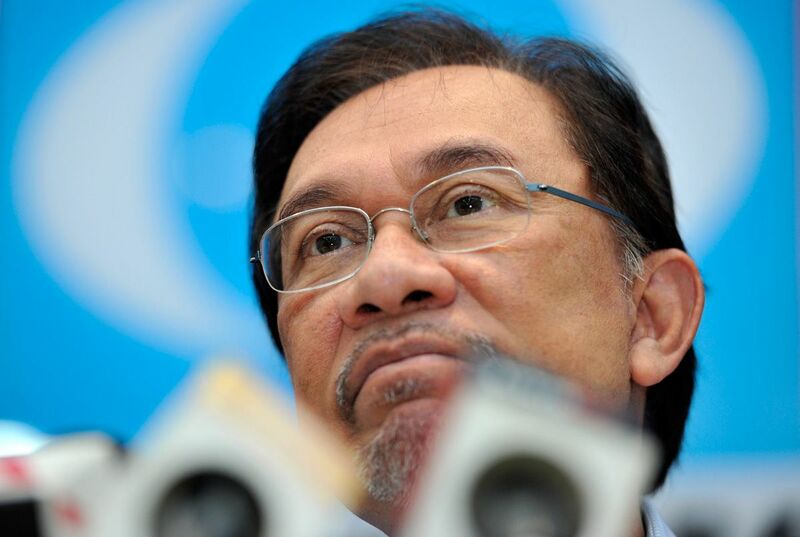 Is Anwar worth the signing of a biased trade agreement that will threaten affirmative action policies, more expensive medicine due to the extension of patents, and even the inclusion of foreign companies for government procurement? Because this is what is at stake here. And the fact that those who were against the trade deal even going through in Pakatan suddenly asking their supporters to sign this clearly shows they would willingly give up the country for one of their leaders. So congratulations to them on finally showing their political stripes and just how far they are willing to sell out the people they vowed to defend. Malaysians should not unwittingly support something so blindly. The spirit of Reformasi has always been an internal call for Malaysians supported by Malaysians, and that would have been an internal matter. Sad to see even their leaders forgetting that. – February 11, 2015. * Hafidz Baharom reads The Malaysian Insider.